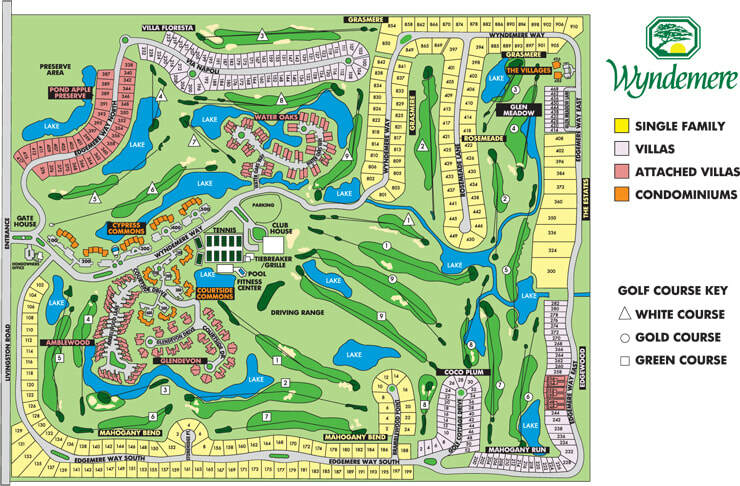 Wyndemere is a gated country club community in central Naples. There are 16 distinct neighborhoods with a total of 634 properties including single family homes, villas and condominiums. The community was started in 1979 and offers charm and warmth when you drive into the lush community with hanging flower pots.